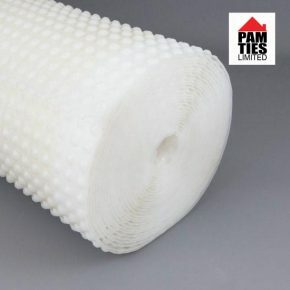 P8 Membrane is manufactured from polypropylene (PP). 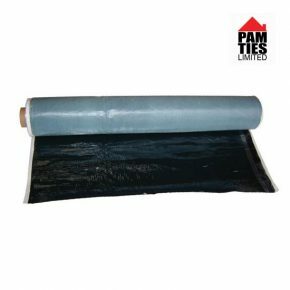 This tanking membrane is impermeable and resistant to the usual chemicals in the building construction. Studs are formed in a regular pattern on the one face of the product, spaced at approx. 25 mm centres. The product is supplied in rolls of 20Mtrs in length x 2Mtrs High. P8 carries a full BBA agreement certificate and complies fully with BS8102 (2009). P8 is tough but pliable and can be bent round corners and projections without risk of breaking, even in very low temperatures. The membrane can be easily cut with a knife or scissors. Everything you need to undertake basement or cellar tanking. evidence of rot exists, this must be dealt with by a specialist contractor prior to installation of the membrane. If any mould etc. exists, this should be cleaned off and the area sterilised with a fungicidal wash.
c) When assessing floor applications, consideration should be given to the type of finish that is required. The floor must be cleared of oil, loose material and any sharp protrusions and most importantly be made level. Any holes or depressions should be filled. When a timber floor is preferred, then more consideration should be given to achieve a flat substrate prior to laying the membrane. This will relieve any undue movement when fitting a final floor finish.